Fourth KD V Elite colorway set to hit retail next month. Many expected Kevin Durant to still be playing at this point in the season, but an injury to Russell Westbrook changed the landscape of the Western Conference Playoffs. 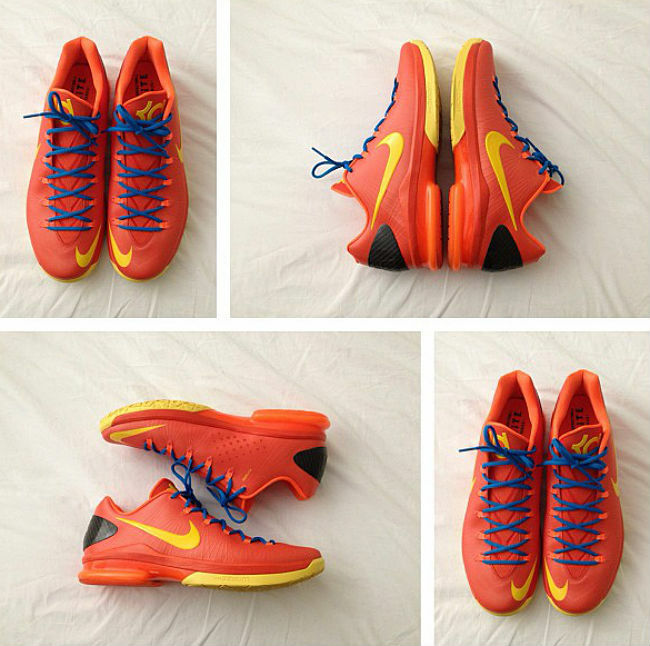 Still, KD's postseason sig is dropping in new colorways, including this Creamsicle-like "Team Orange" flavor. 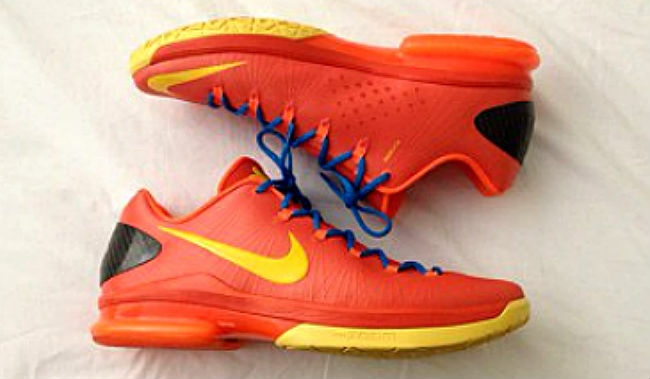 The shoe sports a fully orange Flywire-embedded synthetic upper, accented by OKC-inspired hits of yellow and blue. A black carbon fiber counter wraps the heel for stability, while an orange and yellow Zoom cushioned sole sits below. Look for the fourth KD V Elite colorway to hit retail on Saturday, June 15 for $180. The gradeschool version will be available as well.